Kids love to have a secret. Sometimes that secret is told to the next unsuspecting person they come into contact with, and other times that secret is held tight. 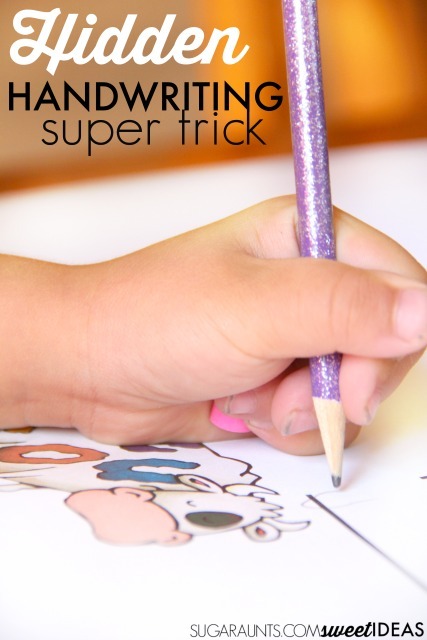 This super easy handwriting trick will help kids work on their pencil grasp in order to promote a more functional grip on the pencil. 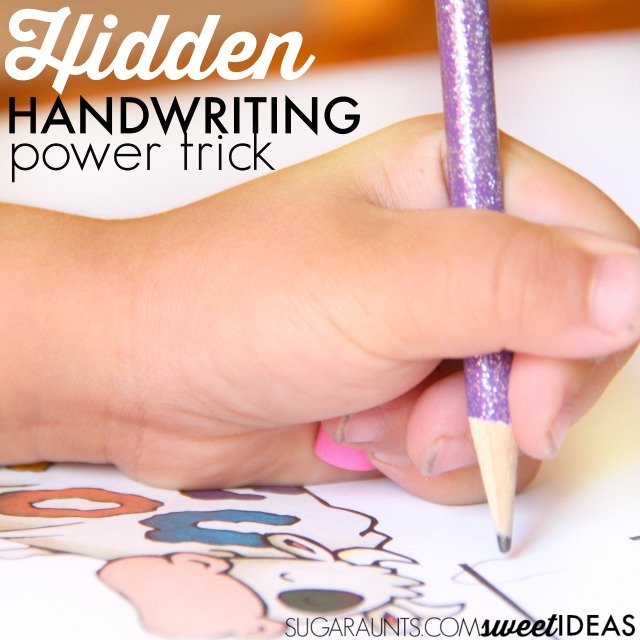 It's a handwriting trick that might not be obvious to the other student's in the classroom or even the student at the next desk. And whether your kiddo tells their pencil grasp secret or holds it tight to themselves, it will be a trick that helps them to write with better pencil control and letter formation. Show your child/ student/ OT client how to tuck the pencil eraser into the palm of their hand to help with pencil grasp. While they are writing, they should hold the eraser in place using their pinkie and ring fingers. Why does this pencil grasp trick work? When kids hold a small item like a a pencil cap eraser in the palm of their hand, they are using motoric separation of the two sides of the hand. This encourages the thumb, pointer finger, and middle finger to manipulate the pencil with more control using the skilled side of the hand while the remaining fingers curl in to provide stability. This is a trick that you won't want to keep a secret. Grab enough pencil cap erasers for the whole classroom. Love this handwriting trick? Stop over to see all of the simple handwriting tricks for better handwriting in our 30 handwriting series. This post is part of our Easy Quick Fixes to Better Handwriting series. Be sure to check out all of the easy handwriting tips in this month's series and stop back often to see them all. What kid wouldn't love to hold these secret erasers when they write?